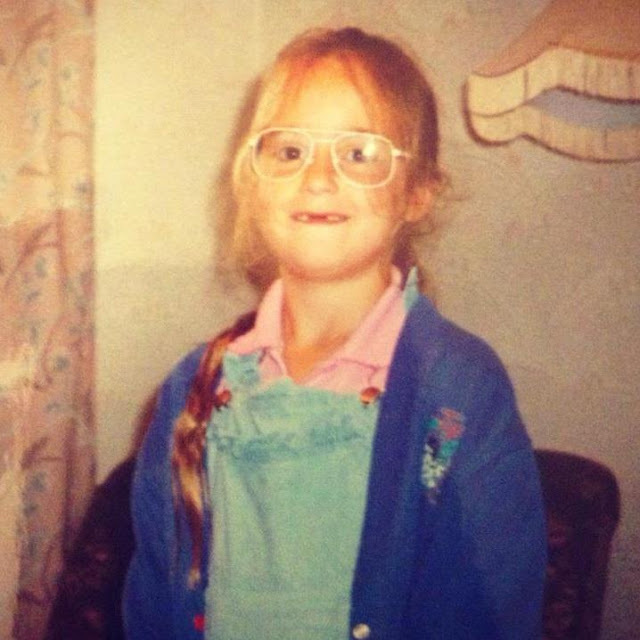 Affordable glasses when I was younger meant the old NHS prescription bad boys that looking back, were utterly heinous. Big, wiry, and ill fitting springs to mind and I absolutely HATED wearing them. I can still remember getting my first ever pair that my folks were willing to pay for when I was about 17, and finally I would actually wear them when I needed to and could stop giving me deep frown lines from screwing my face up to see! Since then I have developed a serious passion for glasses and have actually learned to enjoy picking out my next pair of frames and working out what works on my face shape. The problem of cost was still an issue however and it felt like such a big investment of cash going into my frames that I would only do it every few years which mean't I would quickly become bored with what I had. In the past couple of years I have dabbled with trying out budget options ( with frames coming from China) and I have had success with a few pairs but the quality has just never felt up to scratch for daily wear and every attempt has always come with a high amount of risk in terms of finding a pair that actually suit me without trying them on. 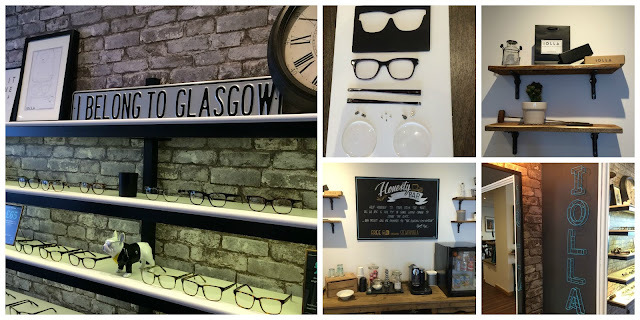 This is where my glasses journey meets a new brand and showroom based right here in Glasgow that is truly set to change everything for specs fans. For only £65 which includes your lenses with anti reflective coating, you can get yourself a simply stunning frame which the young entrepreneur who has started the company has designed himself through this exact frustration at finding well made, affordable glasses. Meaning 'To See' in Gaelic, Stefan alongside his colleague Brian, have launched Iolla- an online eye wear company that also provides that offline experience in their stunning Finnieston showroom. I was bowled over when I walked into their bright space which is perfect for finding a new pair and if you are anything like me- trying on every single frame in the place. Leave no stone un-turned I say! Named after famous Scots ( a lovely touch) the entrepreneurs have designed each frame specially and sourced the best quality acetate in a range of stunning colours, to be able to offer some seriously stylish eye wear. Knowing ahead of schedule the £65 price point, I definitely had my reservations about how the quality would be in the flesh but it was completely unnecessary. These are completely gorgeous and feel very much akin to any high-end frames I have tried in the past. I took along the pickiest person I know when it comes to my glasses; Ally might be indecisive when it comes to many things but knowing what eyewear suits is his undoubted super power. We have been to known to stand in a high street opticians and have him veto literally 95% of the shop and mange to whittle it down to only a couple of frames that truly work. This was a completely different experience however as my 'shortlist' ended up being 6 strong- a massive compliment from him! Luckily Iolla are also as good at picking staff as they are at designing frames and showrooms, as they had incredible patience and were so lovely and encouraging at helping me whittle it right down based on what I wanted them for, and what worked best. It was without a doubt the most fun I have ever had selecting new frames, I didn't want to leave the shop! You need to make sure you have your prescription for ordering, which you can have done elsewhere and receive a print out to take with you or handily you can update to your order online just by taking a picture of it. You will pay more if you are after super thin lenses or you have a very strong prescription which is completely normal for ordering glasses, the included anti reflective coating in the £65 price however is added fantastic value. In the end I settled on the Walnut Tortoise colour in the Patterson frame and it is truly love. I am already planning my next pair from the ranges and without a doubt I am finally going to treat myself to prescription sunglasses too. Clearly I don't need much or a reason to get back into that gorgeous showroom ( complete with lovely honesty bar with profits going to Glasgow City Mission) Check out the ranges online here or get yourself along to the shop pronto- if you find me there it is cause I have officially moved in, it is the coolest spot in Finnieston!